In 1967 an intense geomagnetic storm blinded American early warning radars, taking the world dangerously close to a nuclear armageddon. Such a massive failure of the system had never before occurred and the US military suspected that the Soviets were jamming it in advance of a nuclear attack. Fortunately, the event occurred shortly after the invention of solar monitoring capabilities, averting disaster. A geomagnetic storm (GMS) describes what happens when the sun ejects a large volume of earthbound radiation – usually following a solar flare. This radiation interacts with the Earth’s magnetic field to produce a number of harmful effects for human activity (along with striking auroras). Global positioning systems and high-frequency radio communications are temporarily distorted, which can disable smartphone navigation, mobile communications, air traffic control radio, and early missile detection radar. While serious, this interference generally only lasts a few days (or in rare cases, months). Today, the world’s advanced militaries are relatively well prepared for such storms, having hardened their equipment against nuclear electromagnetic pulse attacks. Despite this, a solar storm would disable a substantial portion of long-range military communication due to the disruption of satellite and high-frequency radio signals. This disruption would likely be catastrophic for several hours and persist for a few days. During this period the world’s militaries would have to rely on less effective backup systems, creating an opportunity for less technologically advanced countries to capitalise on their relative advantage and launch a surprise attack. The uncertainty created by a severe GMS has the potential to temporarily make the world a more dangerous place. More worrying is a potential storms’ effects on satellites and electricity grids. 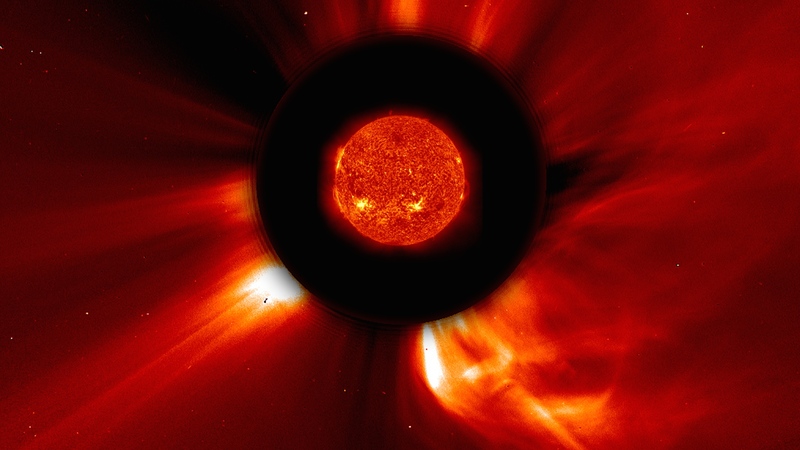 Severe solar storms can cause a build-up of uncontrolled electrical current in satellite circuitry. At best, this leads to a temporary loss of command and control; at worst, satellites can be rendered completely inoperable. 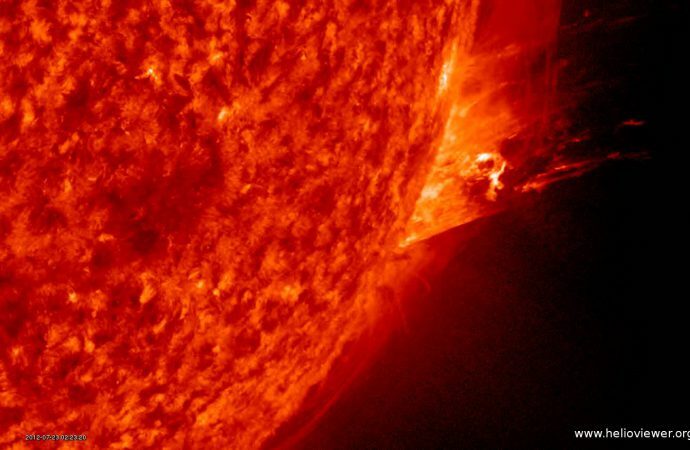 This can cause enormous financial costs: a 2002 solar storm is believed to have disabled the ten-month-old ADEOS-2 observation satellite worth $570 million. A severe GMS could disable a quarter of all satellites in orbit, outstripping the world’s capacity to immediately replace them through new launches. To illustrate this mammoth challenge, only 77 full-sized satellites were launched in 2014; replacing a quarter of the global fleet (around 350 satellites) could cost around $130 billion and would take years. Most satellites take 4 to 7 years between initial planning and launch. Electricity grids can also be shut down by geomagnetic storms. Extra-high-voltage (EHV) transformers act as critical nodes in power networks, and these can be destroyed by the strong currents produced by solar storms. Each destroyed transformer then shunts more current into the remaining ones, which in turn also fail. This can cause a cascading failure of the entire grid. A once-in-a-century GMS could thus disrupt the electricity supply of hundreds of millions of people. While solar storms do occur with some regularity, they rarely strike with the intensity required to cause such devastating effects. A severe GMS is a classic example of a high-impact, low-frequency event, much like pandemics, tsunamis, and catastrophic volcano eruptions. Such storms only happen about once every century and none has yet occurred during the modern era. While earlier high intensity storms burned out telegraph equipment, there effects were a nuisance rather than a disaster. Today, Lloyd’s, an insurance company, estimates that the total economic cost of an extended GMS-caused blackout in North America alone would be between $0.6 and $2.6 trillion. 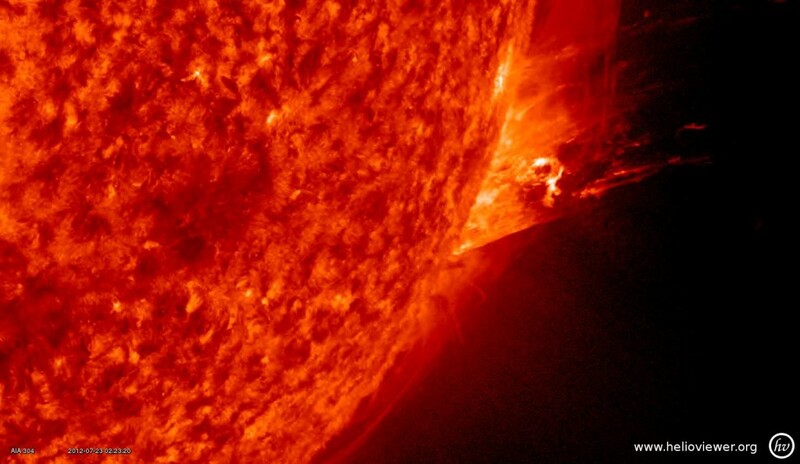 Solar storms are also fundamentally different from other types of natural disasters. Most natural disasters – earthquakes, hurricanes, and tsunamis for example – cause significant damage but only in relatively concentrated areas. On the other hand, a severe solar storm would affect virtually all satellites and high frequency radio communications. Worse still, it could potentially knock out the electricity supply for vast swathes of the world’s population – countries as far-flung as the US, Russia, and China could face power outages that might last for months. No other natural disaster could hit such a broad geographical area so immediately and so hard. The long-term ramifications of a severe GMS are sobering. A study by the Metatech Corporation found that a recurrence of the twentieth century’s most extreme storm would leave more than 130 million people without power in the US alone, with repair costs running into the trillions of dollars. Each EHV transformer destroyed takes roughly 15 months to manufacture, test, and install. Many of these are custom built, so there are rarely spares. This is not just a risk in the US: all grids with long transmission lines in high and low latitudes are at risk. Particularly worrisome is the danger posed by China’s new electricity grid. China uses an enormous number of ultra-high-voltage transformers to surmount the vast distances between energy producing regions in the west and coastal megacities in the east. These transformers are even more vulnerable to solar storms than the EHV units used in much of the rest of the world. China’s grid is also becoming ever more interconnected, which means that failure in one region would reroute energy to neighbouring regions and potentially cause them to collapse. It is entirely possible that the Chinese electricity grid – which powers the world’s workshop – is the most vulnerable to solar storms. China is not alone in its increasing vulnerability to a severe solar storm – the entire modern world faces an unprecedented level of risk. Modern society’s reliance on electricity and satellite-based services is growing ever greater; the world’s economy depends on ‘just-in-time’ global supply chains supported by these complex pieces of technological infrastructure. The solar flare that produced a massive geomagnetic storm that missed the Earth by one week in July 2012. Photo: NASA. A sustained interruption of the electricity supply to the world’s largest economies – the US, China, northern Europe and Japan – would be catastrophic. Modern society cannot withstand electricity disruption for long, and backup infrastructure is not designed to last more than a few days. 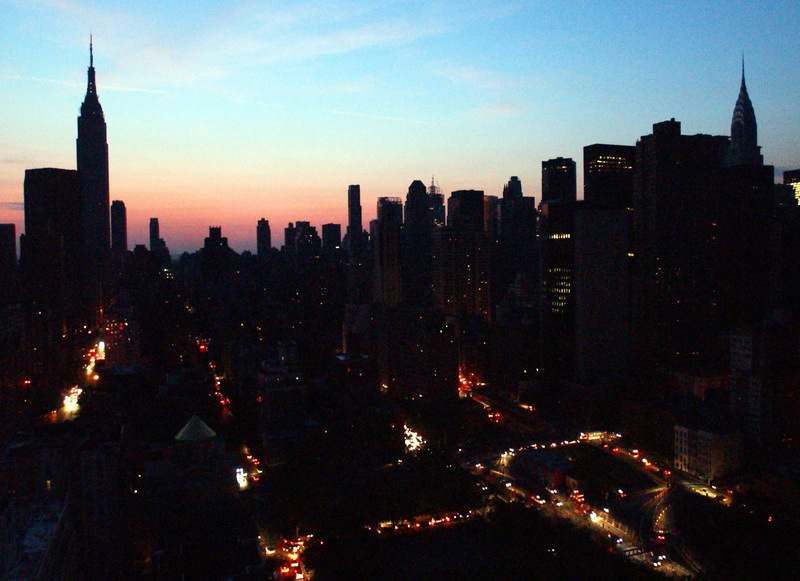 In 2003, a two-day blackout in northeastern America cost the economy between $4 and $10 billion. A sustained power loss would destroy perishable foods and medications as well as disable most communications (including the internet) and climate control systems. Even sectors that rely less heavily on electricity – such as the trucking industry – depend on network-linked operations management systems that would fail without power. All advanced economies are heavily dependent on trade. Trade depends on electricity for production and coordination, so even countries far away from polar latitudes – and therefore not directly affected by an extreme GMS – would suffer greatly from an unprecedented collapse of the global supply chain. The global trade system would have to be temporarily reoriented in order to function in a world where major economies would be rationing electricity for months or years before burnt-out transformers could be replaced. Many major financial markets would also shut down – a GMS did this to the Toronto stock market briefly in 1989 – ­and any unaffected trading centres would experience a massive crash triggered by justified fears over the future of the world economy. A severe solar storm that burns out major electricity transformers around the world would bring the global economy to a grinding halt. That said, current solar monitoring systems would provide warning a few days before a solar storm hit, giving governments and utility companies some time to prepare their systems for the impending shock. Such measures were successful in preventing disruptions to the New England power grid in 2003. However, given the global lack of awareness of the risk of severe solar storms, it is unlikely that all vulnerable countries could take preventative measures. GMS mitigation has been largely left up to industry, which, although concerned about self-preservation, generally chooses to forego the expense of hardening infrastructure against black swan events. Hardly any commercial satellites are protected against GMS, and there are very few EHV transformer replacements in storage. The next severe GMS will not necessarily affect all of the countries described. In the US, for instance, there is a consensus that the East Coast and West Coast grids would be hardest hit while the central portion of the country would be less affected (due to lower population densities and less grid interconnection). However, no global vulnerability study into the actual effects of such a natural disaster has ever been commissioned, so the true risk is relatively unknown. For a world society that is increasingly reliant on satellite navigation and large-scale electrical infrastructure, this is a startling vulnerability.